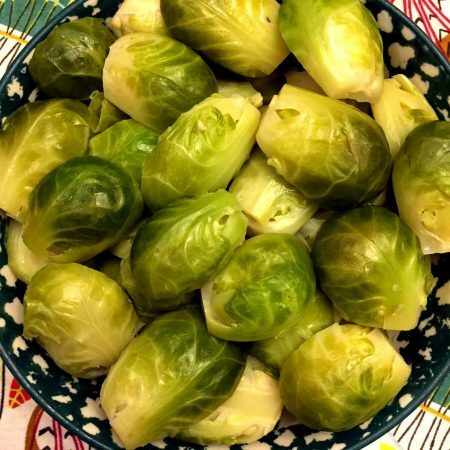 These steamed Instant Pot brussels sprouts are cooked to perfection in minutes! 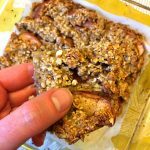 Instant Pot makes it so easy! Instant Pot is a true game changer when it comes to steaming vegetables! It cooks brussels sprouts in 1 minute (even quicker than cooking brussels sprouts in a microwave), plus you don’t have to deal with a pot of boiling water on the stove! 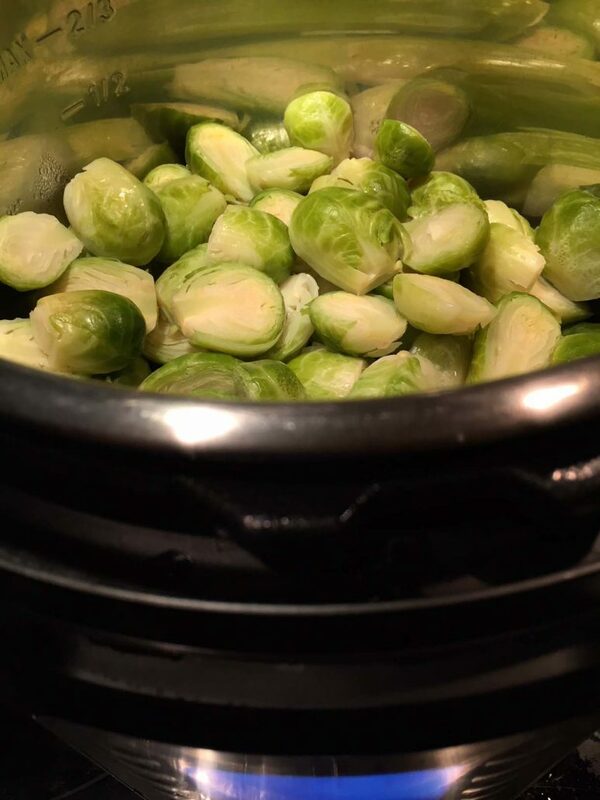 Instant Pot steamed brussels sprouts are perfectly cooked after 1 minute of pressure cooking. 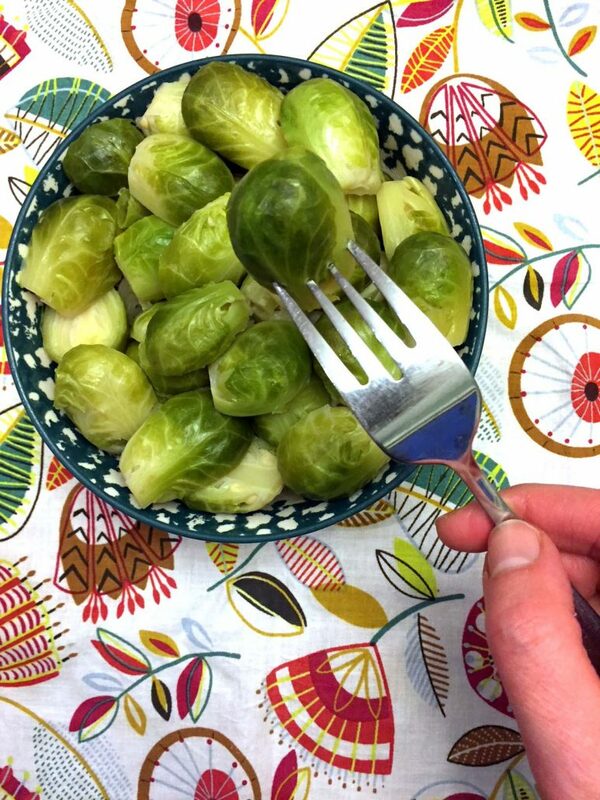 They are tender, yet not mushy at all – just the way steamed brussels sprouts are supposed to be! 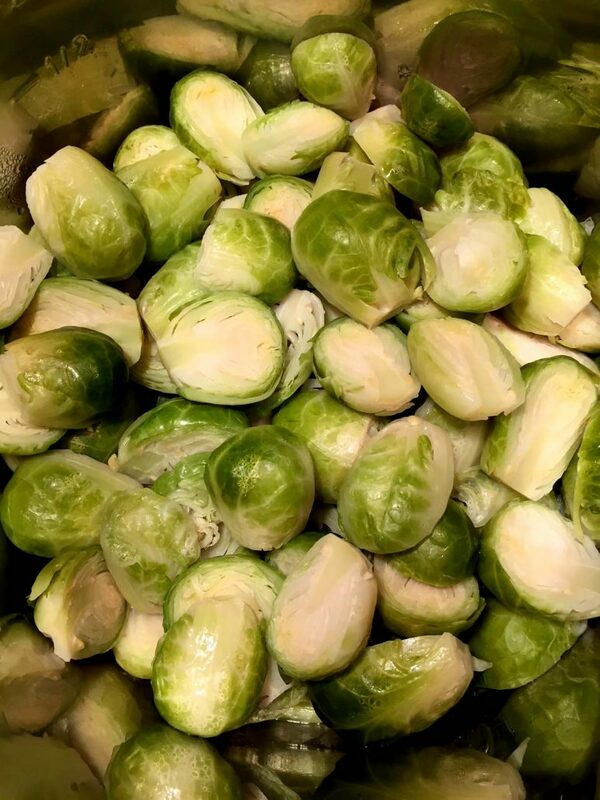 Brussels sprouts are so healthy and good for you, and when you have this easy method of cooking them, there is no excuse for not adding more brussels sprouts into your diet! So healthy and yummy! 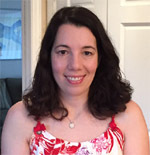 Check out my Instant Pot recipes collection to discover more Instant Pot recipes! 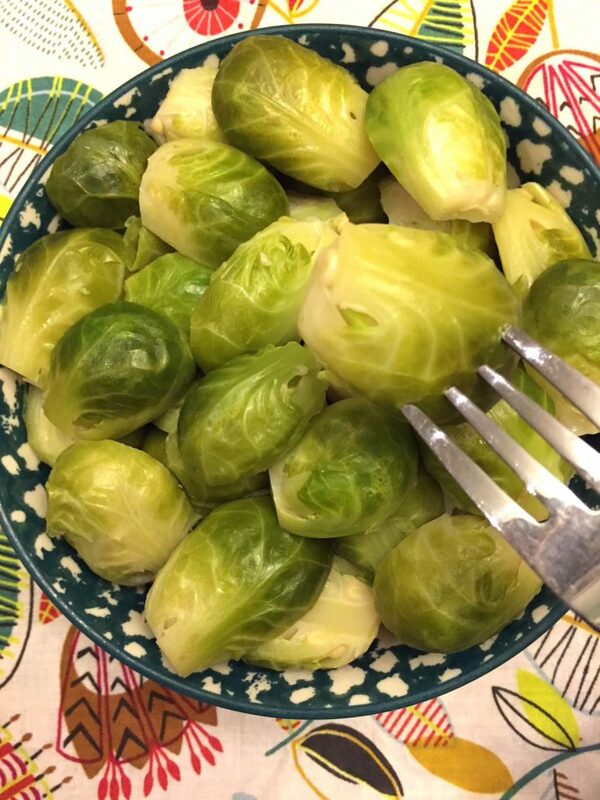 Want to know what’s on my plate alongside these steamed brussels sprouts? I’ve got baked Italian sausages and roasted sweet potatoes! 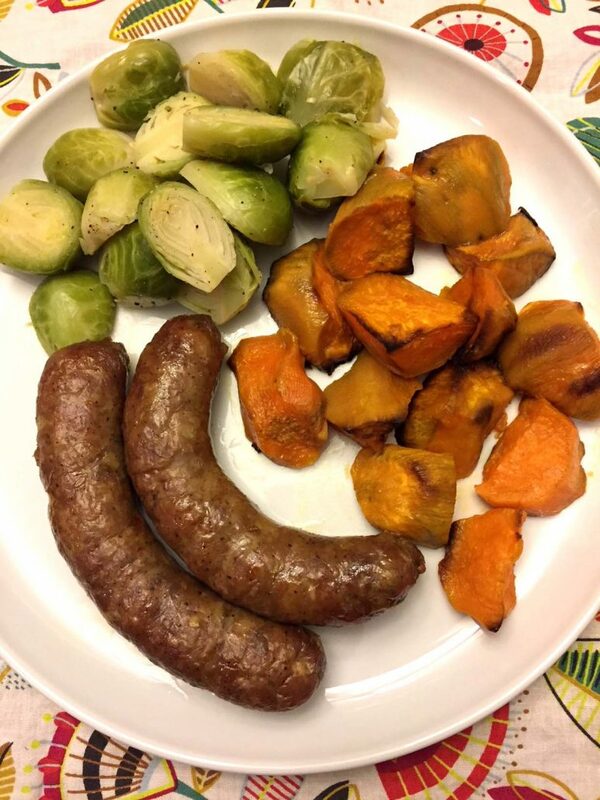 In fact, I roasted them in the oven at the same time – the sausages on one baking sheet and the sweet potatoes on the other 🙂 That was such an easy colorful and healthy dinner. Yummy yummy in my tummy! 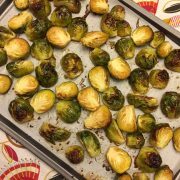 Making steamed brussels sprouts in your Instant Pot is super easy! 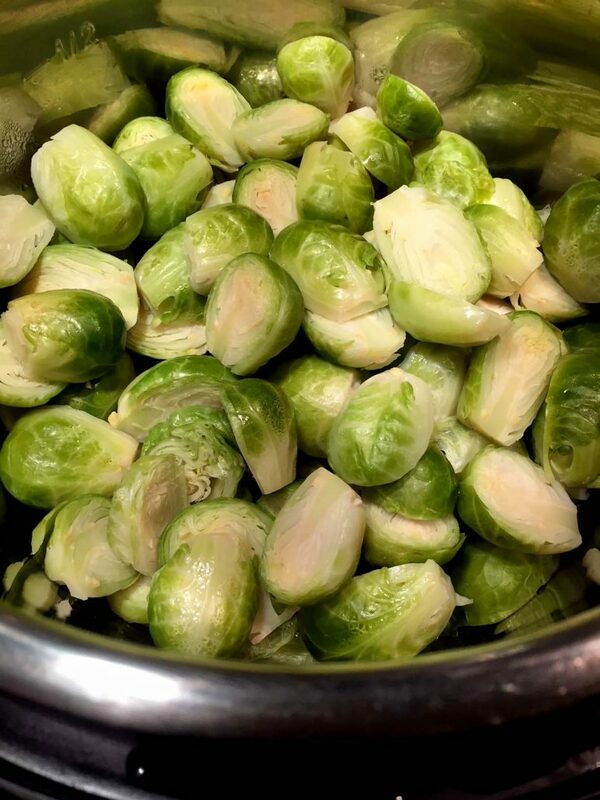 All you need to do is cut the trimmed brussels sprouts in half and put them in the Instant Pot with 1 cup of cold water. Close the lid and turn the valve to a Sealing position. Select the “Pressure Cook” or “Manual” option and set the time to 1 minute. When it finishes cooking, quick release (QR) the steam. 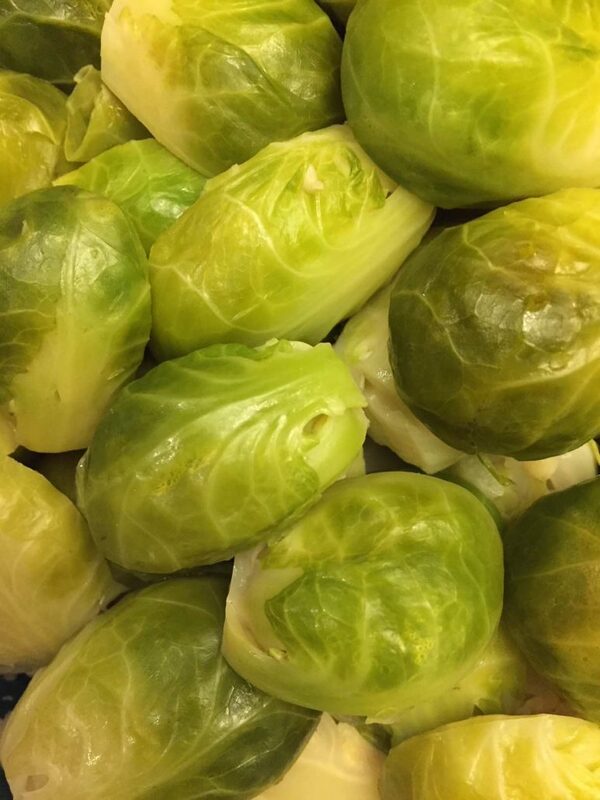 Your yummy steamed brussels sprouts are ready! Sprinkle them with salt and pepper to taste and enjoy! They are also delicious sprinkled with garlic salt or tossed with minced fresh garlic. Garlic and brussels sprouts go really well together! Another yummy way of serving brussels sprouts is tossing them in a mixture of extra-virgin olive oil and balsamic vinegar – delicious! 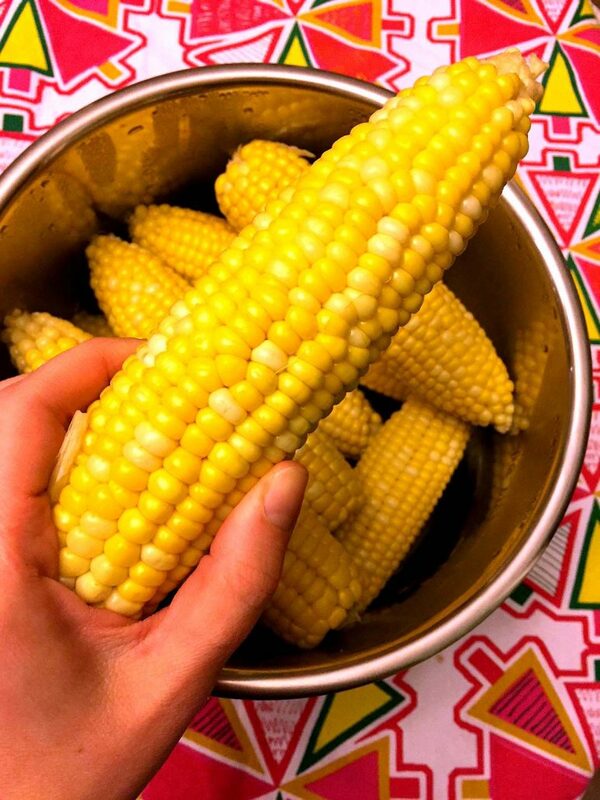 Instant Pot Corn On The Cob – once you try cooking it in Instant Pot, you’ll never make it any other way! Instant Pot Steamed Broccoli – broccoli cooked to perfection! Instant Pot Green Beans – so green and crisp, yummy yummy! 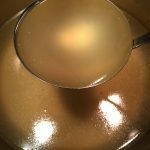 Instant Pot Applesauce – you won’t believe how easy it is, you don’t even need to peel the apples! Your whole house will smell like apples and cinnamon! 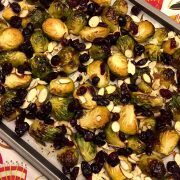 Oven Roasted Brussels Sprouts – caramelized roasted brussels sprouts with dried cranberries and almonds, perfect holiday side dish! 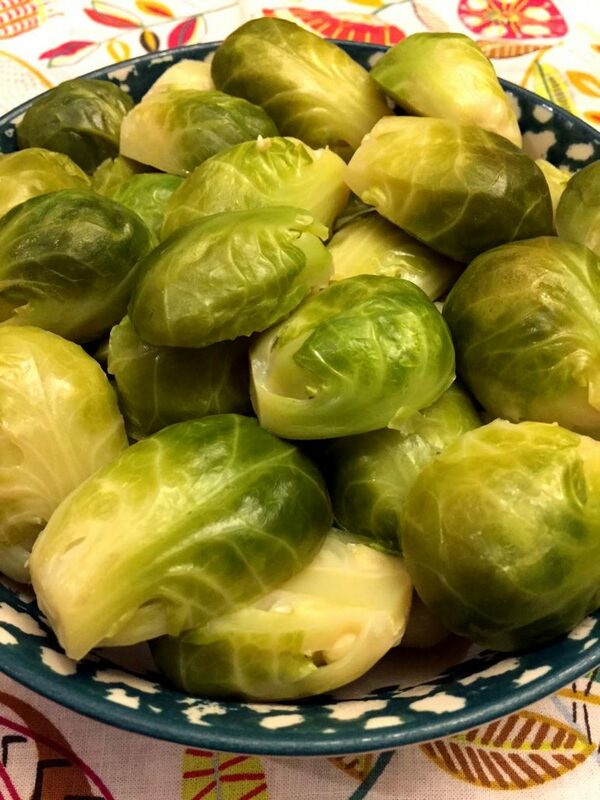 These Instant Pot brussels sprouts are so healthy and delicious! Super quick and easy to make! 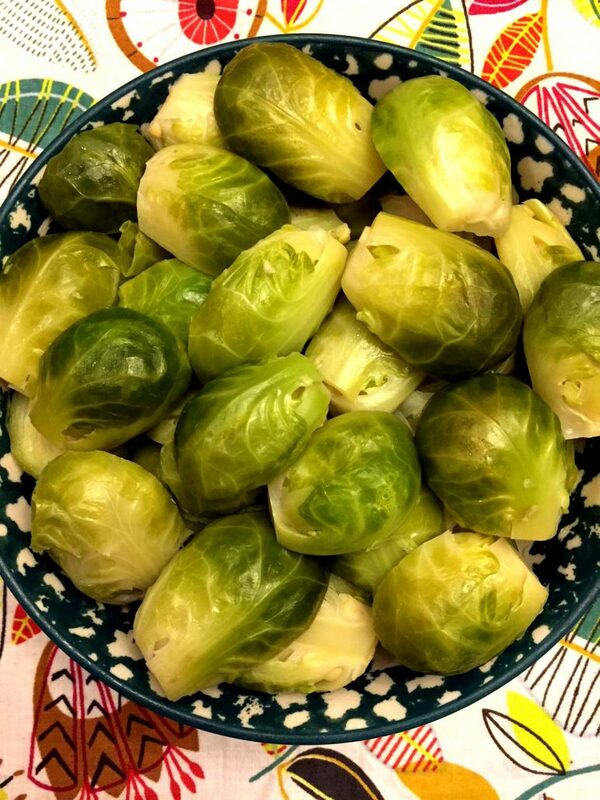 Once you discover how to cook brussels sprouts in your Instant Pot, you'll never make steamed brussels sprouts any other way! 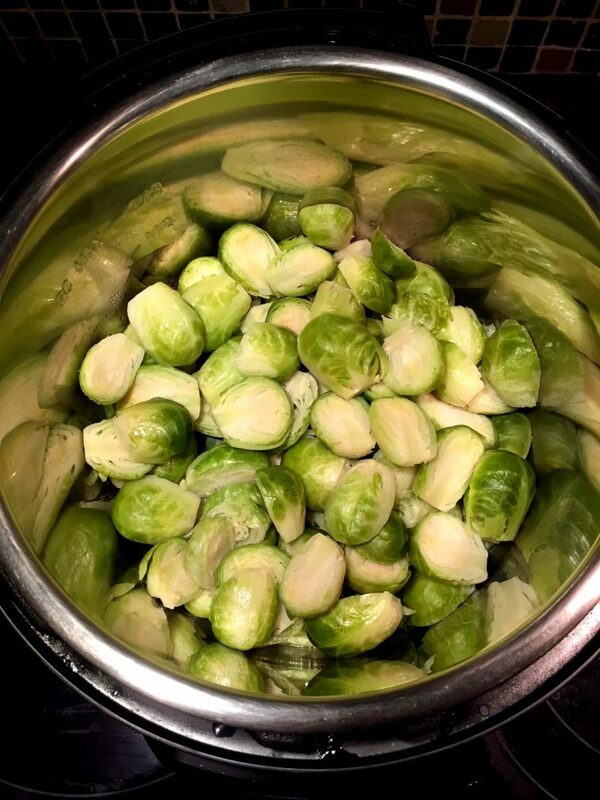 Put brussels sprouts and water in the Instant Pot. Close the lid on the Instant Pot and turn the valve to Sealing position. Select the "Pressure Cook" or "Manual" option and set the time to 1 minute. When it finished cooking, quick release (QR) the steam. Drain cooked brussels sprouts and sprinkle with salt and pepper to taste.